Actually, it is Wednesday. Time has past really quickly. I didn't even notice. My 4 spare days, haven't been free at all. As I predicted, I had to help my folks, every each of them wanting some different stuff from me and my sister. I had to run to some building stores, to buy for my grandma some bathroom suplies, after shopping for her weekly groceries. Hell! I arrived yesterday evening wishing I never had legs. They hurt awfully. Oh well, and today I came to work more tired than I left, last Thursday. And I never had to finish my work for the buildings in the park and tomorrow I have a little deadline. 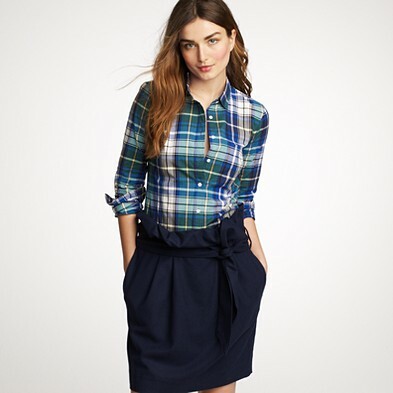 I found though my fall fashion inspiration on J Crew, a nice online American store. So, I let you enjoying the immages, as I have to run and finish my work. Oh, and some late descovery from Zara. Better later than never, right? And some accesory mania: friendship bracelets, that I have worrn in my highschool and now they are again in fashion.